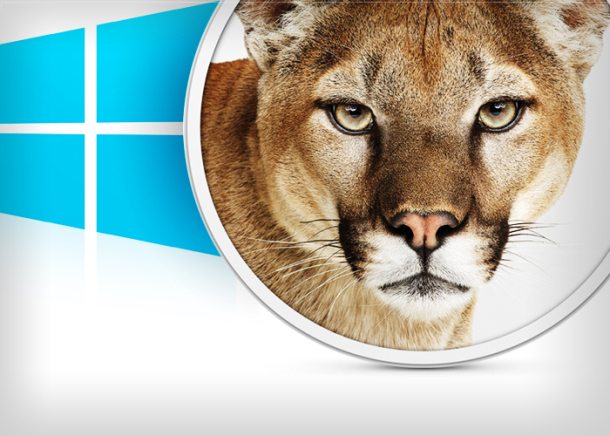 Installing and dual-booting Windows 10 on Mac OS X mountain Lion are really easy now. Thanks to Apple’s latest update to the OS X mountain lion. Apple has released Boot Camp 5 in the latest OS X Mountain Lion V10.8.3 which now supports installing Windows 10 on your Macs. Using Boot Camp 5, Mac users can now easily switch between OS X and Windows 10. Running multiple operating systems on one computer on the same computer is called dual-booting, because you can boot up either OS whenever you turn on the computer. Boot Camp is software included with OS X Lion and Mountain Lion. It allows you to run Microsoft Windows on an Intel-based Mac. Just check the ‘About this Mac’ from Apple menu to know that whether your system is powered by Intel based processors or not. 1. Make sure your computer meets Windows 8 System Requirements. This is not going to be a problem for newer computers. Buy a Windows 8 Operating System here . only 64-bit Windows 8 and Windows 8 Pro editions are compatible with OS X and that Enterprise versions are unsupported. 3. Create New Hard Drive partition. Windows 8 must be installed on the system’s internal disk. 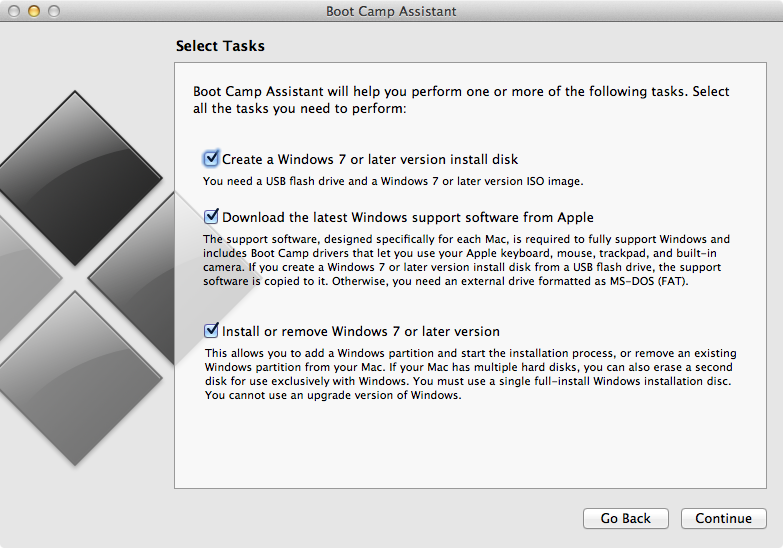 Using Boot Camp, Apple does not support installing Windows 8 to an external disk. Use the Bootcamp, select the option “Start Windows Installer,” and then insert your Windows 10 disc. Just follow the installation Wizard and complete the steps. Windows 8 will load automatically after your system reboots. Customize your new Windows 10 and enter into the new modern start screen with metro tiles.